Leaders of the Department of Agriculture and Rural Development in the southern province of Dong Nai yesterday announced dead fish breeders would receive support from the government if their loss is caused by disaster. Thousands of tons of fish farmed in cages of many families died in La Nga River in the province. Over 1,500 tons of fish raised in cages have so far reported dead. 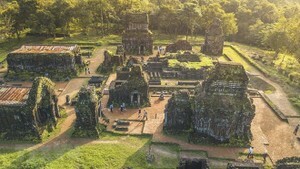 Total loss is estimated worth of billions of Vietnam dong. 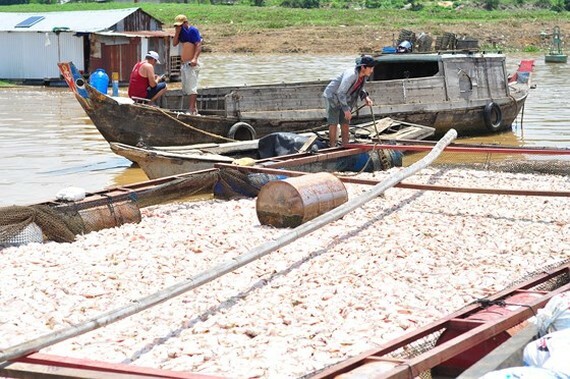 According to the Department of Agriculture and Rural Development, if fish died due to natural disaster, the government will spend VND10 billion to compensate every farmer household for production restoration. However, if fish died because of factories’ intentional discharge into the river, harsh punishment will be imposed on violators as per the law. The provincial authorities have taken samples of water in the La Nga River for further examination. They are investigating whether waste from factories along the river is partly to blame.